Wang Shuo graduated from the Department of Economics & International Development of the University of Bath, United Kingdom and holds a Master Degree in International Development. He was awarded the Chevening Scholarship by the Foreign and Commonwealth Office, UK in 2004. 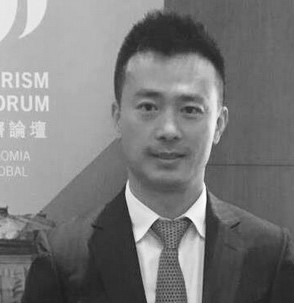 Wang Shuo is currently the Chief Operation Officer of Global Tourism Economy Forum (GTEF) and Executive Director of Global Tourism Economy Research Centre (GTERC). Wang Shuo joined the United Nation World Tourism Organization (UNWTO) in 2007 with the objective to set up the first UNWTO ST-EP (Sustainable Tourism-Elimination of Poverty) project in China. He was coordinating all China and South Asia Affairs on behalf of UNWTO. Besides the delivery to the member countries by coordinating, preparing and organizing technical and institutional activities, he provides constant support to the annual UNWTO/PATA Forum on Tourism Trends and Outlook, and support to the UNWTO Observatories on Sustainable Tourism Development in China. In his UNWTO days, Wang Shuo was also assigned to tap the potential of South/South collaboration in tourism development, and members’ support to UNWTO researches and studies within Asia. Before joining UNWTO, Wang Shuo was the Protocol Officer of Guizhou Provincial Foreign Affairs Office coordinating International Events held in and beyond Guizhou. During his career, Wang Shuo attended various courses by Oxford Leadership Academy, Belgian Federal Ministry of Civil Servants, Finance & Agriculture, Civil Service Collage Directorate in the UK, and the Governments’ Center for Management and Policy Studies in the Netherlands; He also received Administrative Management training in the USA, Modern Administrative Management training in Düsseldorf, Germany, Urban Management training in Australia/New Zealand, and Protocol Management Training in the Chinese Ministry of Foreign Affairs.